This is the last piece in our four-part series on preparing for marriage, and I’ve saved the best for last! If you missed part one, part two, or part three, be sure to check them out before diving in here! Your wedding day is going to be one of the best days of your life. Your marriage will be one of the best things that has ever happened to you. You’ve spent so much time thinking about the kind of person you want to be with and the kind of person you want to be. You’ve dated, discerned, prayed, and now you’re engaged! Your wedding day and the wonderful life ahead of you are the benefits of so much prayer and discernment. But that doesn’t mean it will all be sunshine and rainbows. The fairytale romance is just that: a fairytale. The truth is, marriage is hard work. Marriage doesn’t give you a way around life, but it does give you someone to go through life with. When you look around, you will probably see a lot of married couples with problems you hope to avoid in your marriage. You’ve probably seen married couples dealing with something and hoped you never have to deal with something like that in your marriage. You might have even thought that—knowing your relationship and the person you are going to marry—it’s impossible you could ever get to a place where you would be dealing with the kinds of problems some people are dealing with. Understand this: those couples you are looking at felt exactly how you feel now. There is a good chance they never wanted a marriage like that either. Marriage is difficult, and problems do arise. Life is filled with ups and downs, joys, struggles, successes, challenges, sickness, financial difficulties, celebrations, hurt feelings, and expectation gaps. Marriage doesn’t take all that away. Marriage doesn’t give you a way around life, but it does give you someone to go through life with. Couples with dynamic marriages know there will be difficulties. And because they expect it, they aren’t afraid when those difficulties arrive. But they know that the hard work of marriage is the best kind of hard work because you get to do it with your best friend. 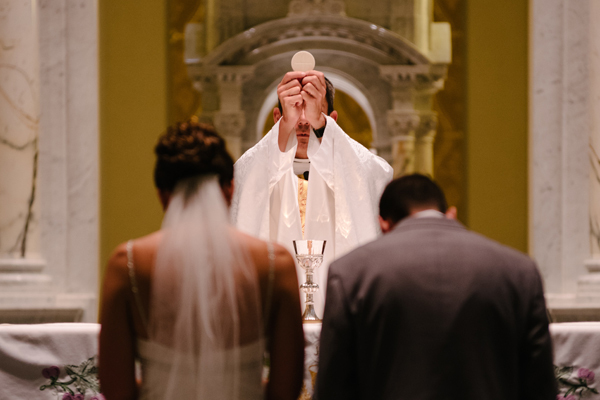 Look at a healthy marriage, and you will find men and women of prayer. Couples with dynamic marriages also know that continuous improvement is essential to a thriving marriage, so they will always be on the lookout for resources. They will utilize resources like those offered through Dynamic Catholic. They will listen to talks or read books about thriving marriages. They will attend marriage events offered in their area. And they will constantly be on the lookout for other couples who appear to have dynamic marriages, so they can ask their advice. Of all the resources God has given us for marriage, the most powerful is prayer. When things get difficult, we naturally turn to prayer. But couples with dynamic marriages build prayer into their marriage before things get difficult, so they already have the habit established when they need it. They know the old wisdom: Dig the well before you're thirsty. Prayerlessness is one of the great torments of modern times. For decades, the time we spend in focused prayer has been diminishing as our lives have become busier and busier. We rush from one urgent thing to the next. The problem with this is that the most important things are hardly ever urgent. Prayer is one of those important things. Prayer helps us identify what matters most and strengthens our hearts and minds to give priority to those things in our daily lives. What could be more important than prayer? Ask God to coach you in your marriage. Prayerlessness distorts the human person. Without prayer, over time we forget the qualities that make us uniquely human (compassion, generosity, humility, fortitude), and we become more and more like mere animals. Prayer leads us to catch a glimpse of the-best-version-of-ourselves. It helps us develop the virtue necessary to celebrate our best selves. In marriage, prayer fortifies our love for our spouse; it encourages us to collaborate with God for a dynamic and healthy marriage. Most crucial of all, prayer sustains us when marriage gets difficult. There are many forms of prayer: times when we praise God, thank God, and petition God. But one of the best prayers couples can pray is to ask God for his leadership and guidance. 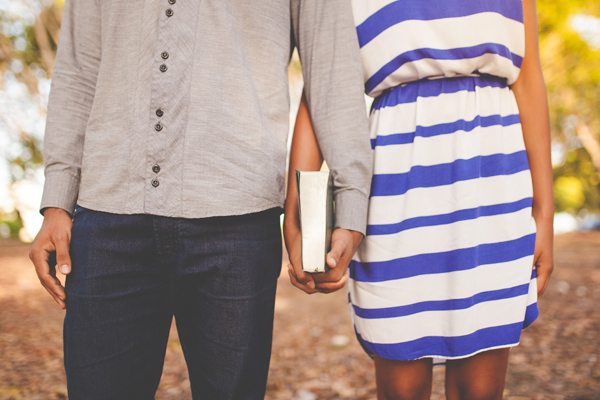 Ask God to coach you in your marriage. Establishing this habit of prayer where you turn to God for guidance is critical to a dynamic marriage. Start with something simple—and start right now. Perhaps you and your future husband or future wife could set an alarm on your phones for noon every day. When the alarm goes off, you could call one another and say a quick Our Father. This daily habit will connect you as a couple, and the little interruption will help train you to focus your day around God and one another. I’m praying that your marriage will be everything that you ever dreamed it to be. I’m praying that your marriage will be long and full of laughter, encouragement, satisfaction, peace, and teamwork. I know that God has an incredible dream for your marriage, and if you do what you can to help each other become the-best-version-of-yourselves, God’s dream will not disappoint. A great marriage always has a strong foundation. When you dream together, share your expectations, prepare for conflict, and pray together, you are laying the foundation for a marriage that will go above and beyond your dreams, into the beautiful future God has in store for you.